The historic Wax Museum is currently undergoing a grand transformation. La Cire Condominiums will be home to 16 condos and 15 secure, covered parking spaces. Amenity deck will include heated pool, hot tubs, lounge chairs, BBQ station, & more. Onsite fitness room available to all owners. Nearly all of the units will have a private terrace or courtyard. We have combined 1900’s architecture with original brick walls and modern elements to suit the luxury life you crave! Location is ideal in the French Quarter's quiet residential section yet only a block away from all of the action. Located in the prestigious Jax Brewery and overlooking the Mississippi River and Jackson Square, this open floor plan 1 bedroom, 1 bath condo was newly built in 2013. Large common area terraces have spectacular views of the River. Elevator access & abundant security. Located on beautiful oak tree-lined , historic Esplanade Avenue, these 1, 2, and 3 bedroom condos were newly renovated in 2016. 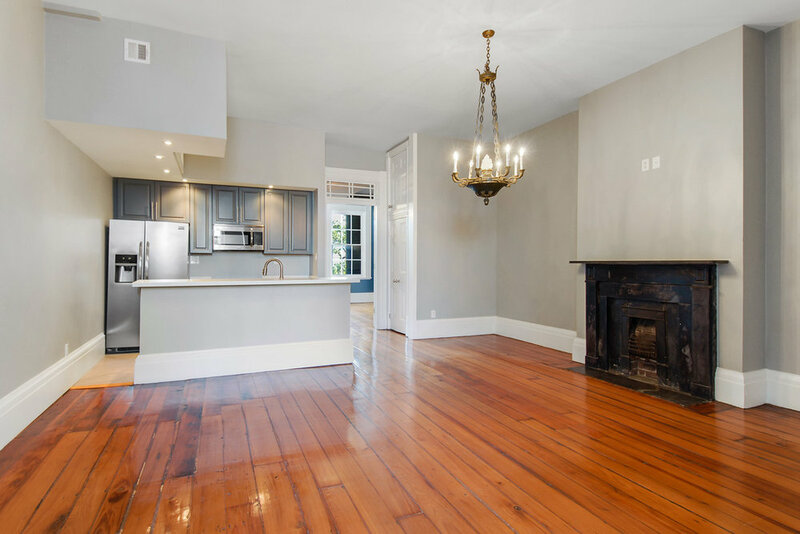 Original 100+ year wood flooring, brick, medallions, and mantles were all meticulously preserved and paired with brand new, modern kitchens & baths.